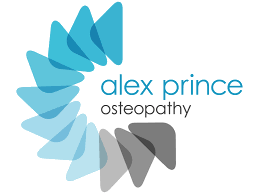 Structural Osteopathy involves a variety of manual manipulations to the body. 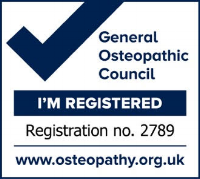 I predominately treat adults using traditional (Structural) Osteopathic techniques, although some adults also respond very well to gentler Cranial Osteopathy. Using structural techniques I aim to increase and/or balance the mobility of joints and relieve muscle tension. This is achieved using gentle joint manipulations, alongside stretching and specialised massage techniques. In addition to balancing your musculoskeletal system, treatment can also enhance the blood and nerve supply to the body's tissues to aid your own healing mechanisms. As adults we may have endured physical injuries, accidents, operations, demanding work environments and in most cases a combination of many of these. This often results in pain and injury either at the time, or it may show itself at a later date and sometimes in a different area of the body. The natural ageing process can also be a factor. Adults can benefit enormously from osteopathic intervention. From identifying a cause of a problem, forming a diagnosis which then leads to treatment and management advice. Sudden pain brought on by recent physical trauma, an awkward movement or occasionally for 'no apparent reason’. Ongoing chronic pain caused or aggravated by repetitive movements. i.e. spending long hours (or sometimes only a few minutes) in one position such as sitting at a computer, driving or standing. Ongoing chronic pain caused by accidents or operations in the past. Often these are thought of as unrelated to the presenting symptoms. Simple movements such as walking or running don't feel right and may cause pain. Stress related musculoskeletal pain and tension. Repetitive actions or movements, sometimes referred to a repetitive strain injuries.